Growing up in the 80’s and 90’s, I watched baseball a little bit. But I am typically the kind of sports fan who mostly watches when something big is happening – World Series, Super Bowl, Championship. Well, there was one day in the middle of a baseball season that a regular game made history. On Sept. 6, 1995, Cal Ripken broke the consecutive games played mark set by Lou Gehrig. WHAT DOES THIS HAVE TO DO WITH YOU & your business? Ripken helped the Orioles to the World Series championship way back in 1983… and was literally playing every game for years. In fact, that’s something he said he wanted to do. 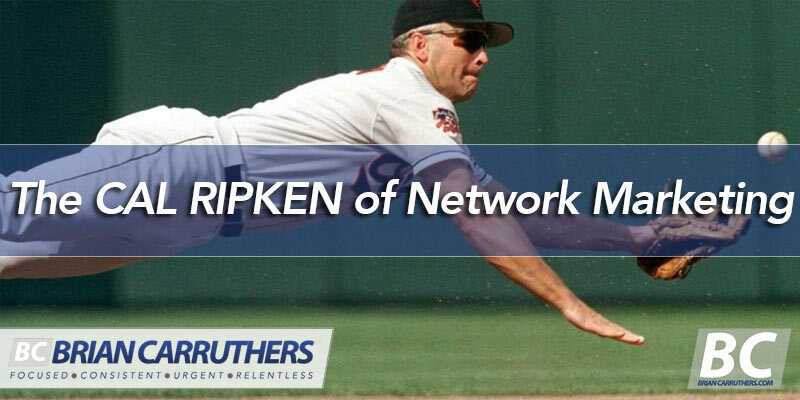 Ripken sent a message to fans that he wasn’t playing the game just for the money, a message different from what many players sent out on a regular basis. He just loved the game. That is likely what made his consecutive games streak so popular among baseball fans across the country and not just in Baltimore. Watch this video of that game he broke the record, and how the fans reacted. I have modeled my Network Marketing career after Cal’s streak. He wasn’t hitting home runs or even base hits every game, and neither did I successfully recruit people every day. But he just kept playing, and I just kept recruiting. It’s not important who has one or two great games, but who shows up day after day and grinds it out, because you love the game. 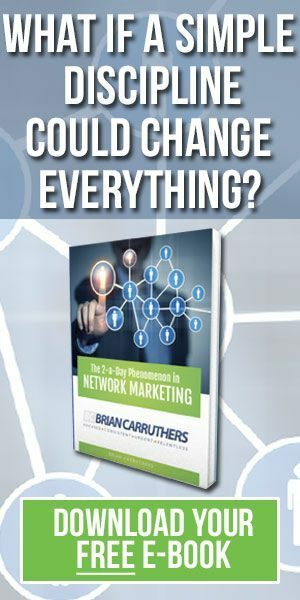 I love network marketing. Sure, Cal didn’t love batting practice and fielding practice, as I don’t like grinding phone calls and dragging unmotivated people along. But he loved the game as do I. We both live for the sweet moments which always come… Cal having a great game and they win… me seeing someone on my team rank advancing and winning. Let’s all learn from CAL RIPKEN. He is the Hall of Fame because his CONSISTENCY was so profoundly inspirational to the world of sports. YOU can be in your business’s hall of fame by you showing up to your business every day, not just when you feel like it. Cal played when we wasn’t feeling well, or wasn’t in a good mood, hundreds of times. He just stuck to his commitment. You and I can do the same. This is how I have earned over $22 Million. It wasn’t some big deal, it was a ton of tiny deals all strung together compounding over a long time. Show up… so you can go up!! I believe in you. Believe in yourself. You’ve got what it takes. PLEASE SHARE THIS blog post with everyone you know, so they can learn about consistency and succeed. Hit the share links above.